What is FPSPI? Future Problem Solving Program International provides the tools and strategies students need to face the challenges of today and the future. FPSPI is a dynamic international program involving thousands of students annually from around the world. 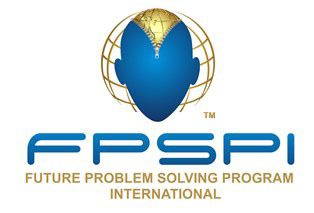 Developed in 1974 by creativity pioneer Dr. E. Paul Torrance, Future Problem Solving (FPS) provides competitive and non-competitive components for today’s curriculum via a six-step model which teaches critical and creative thinking, problem solving, and decision making. International Scenario Writing Competition invites the 1st – 3rd place winners from Affiliate Programs to enter the highest level of competition. This site is for the confirmed winners (finalists) from Affiliate Programs. Scenario Writing is an individual competition in which students develop short stories related to one of five FPS topics for the year. The story (1500 words or less) is set at least 20 years in the future and is an imagined, but logical, outcome of actions or events taking place in the world. A winning scenario example is found on FPSPI’s website http://www.fpspi.org/scenario-writing/. Why Scenario Writing? Scenario Writing strives to help students enlarge, enrich, and make more accurate their images of the future, while honing their creative writing skills. Scenario Writing personalizes the ever-growing perspective a student has on the future. In addition, participation provides opportunities for students to meet and exceed educational standards as they refine their writing skills. Scenarios are read and scored by experienced evaluators who consider the following elements: creative thinking, futuristic thinking, idea development, style/voice, character development, mechanics/structure, and topic related research. Authentic assessment and feedback is provided using rubric-based evaluation. Managing Organization: Future Problem Solving Program International, Inc.